Twitter and Square CEO Jack Dorsey. 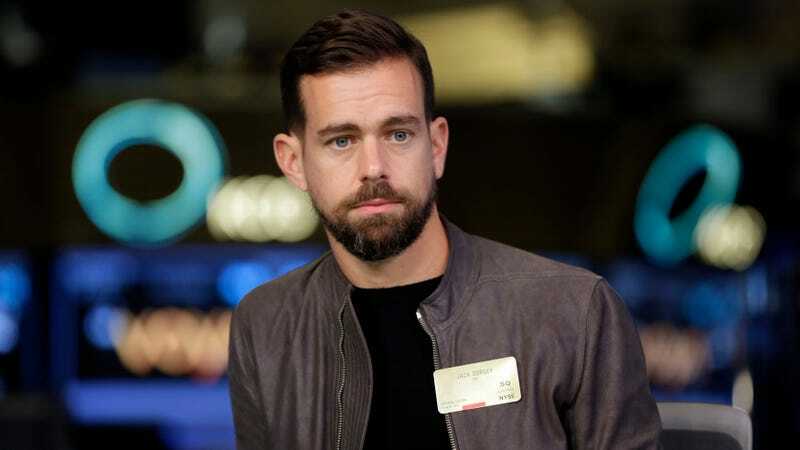 Twitter CEO Jack Dorsey, who also happens to be the chief executive of crypto-friendly mobile payments company Square, appears to be under the impression that Bitcoin will overtake the world’s supply of fiat currency within ten years. In an interview with the Times, Dorsey made the rather dubious proposition that some form of cryptocurrency, and probably Bitcoin itself, will shortly become the world’s dominant medium of exchange. The Wall Street Journal recently wrote that a joint Huawei and Oxford Economics had (very tenuously) concluded that the “digital economy” will be worth $23 trillion by 2025, so to capture the entirety of this market as Dorsey predicts, bitcoin would need to gain a little more value than fellow crypto traveler John McAfee’s wild projection of $1 million per unit. This would obviously require exponential growth, and soon, because the value of a bitcoin has plummeted over 50 percent from its all-time high of nearly $20,000 last year. So maybe Dorsey is being a little bullish. One might also note that numerous critics like New York University economics professor Nouriel Roubini, who predicted the 2008 recession, have warned Bitcoin is a speculative bubble that could soon collapse. While other cryptocurrencies are taking off in its wake, in general the market is padded with a huge number of flops and rumored scams, which is likely why Dorsey’s non-crypto company Twitter is reportedly planning on joining other tech giants like Facebook and Google in banning many cryptocurrency ads. Even if Dorsey is proven right, it’s probably an open bet whether the result would be “greater financial access for all” as he claims, or simply an opportunity for the worst aspects of Silicon Valley and big banks to feed off each other. In any case, Dorsey doesn’t need to be right about crypto becoming the world’s dominant method of exchange to make a lot of money off it. A small slice of that digital economy is still a whole hunk of change.